Look at any picture of Big Sky and you'll see why our mountain town is a mecca for outdoor recreation. Big Sky is just the type of place where you want to spend time outside. 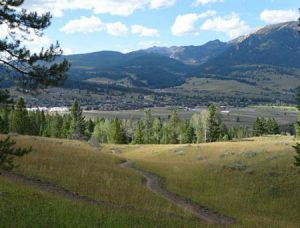 Whether you're biking, hiking, trail running, or horseback riding there's something magical about exploring Big Sky's backyard. Luckily, it's super easy to access the endless trail system around Big Sky. There are trailheads everywhere. Some lead deep into the public lands of the Madison and Gallatin Ranges, while others are located right in town. One of the reasons we have so many awesome trails in our community is because of the hard work of the Big Sky Community Organization. The BSCO's mission is to "connects people to recreational opportunities by acquiring, preserving and promoting sustainable places and programs for all." This is just one more organization that's striving to make Big Sky even better. The BSCO featured trails provide easy access and safe passage throughout our community. BSCO has created many of Big Sky's best trails. These are the trails that are enjoyed by locals and guests alike on a daily basis. How many of the Big Sky Community trails have you been on? Follow the links above for photos and more information (location, dog rules, parking, amenities, etc.) about the Big Sky Community trails. Download the Big Sky Community Organization Trail Map on the BSCOMT.org website or pick one up at local locations around town. BSCO recently announced that work has begun on Ralph's Trail. 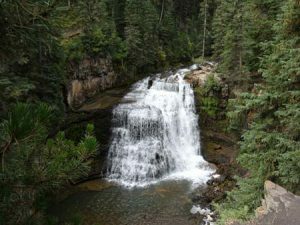 This 2.7 mile connector will link Uplands Trail to Ousel Falls Trail creating an exciting hike and bike loop right in the Big Sky Meadow. It should open in June 2017. Follow the BSCO Facebook page for more updates on this one and others. The Big Sky Community Organization does so much for our community. If you enjoy the Big Sky community trail system be sure to support BSCO. It's a 501(c)3 non-profit and your donations are tax deductible.